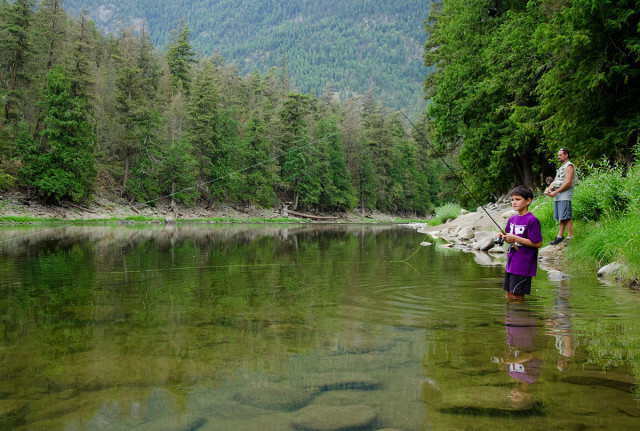 Imagine a Zen day with nothing more complicated than a hand-tied fly, nice dry hip waders and the sweet dream of landing the “big one.” How about the anticipation of fresh water trout, cooked over an open campfire, and placed hot and steamy on your plate. So good you can almost taste it! No matter what the motivation, anglers have been lured to our rivers and lakes since time immemorial. 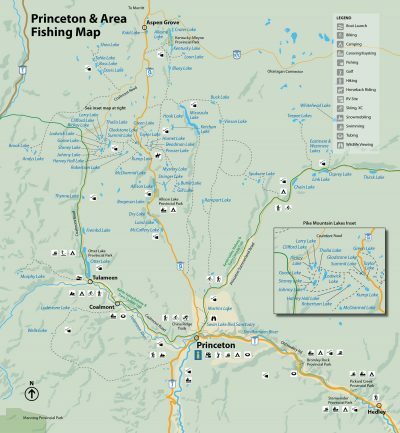 Freshwater fishing is easily accessible from many sites along BC Highways 3 and 5a, and from Princeton to Cawston (and points in between). 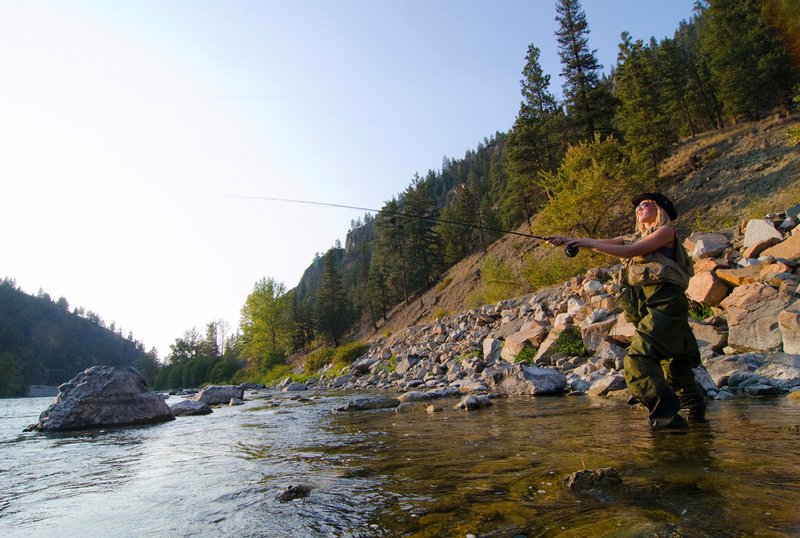 In summer or winter, there’s plenty to catch in Similkameen waters. So grab your tackle box and BC Fishing License and cast about in our waters. 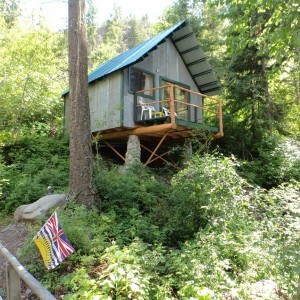 You’ll soon be hooked on the Similkameen. 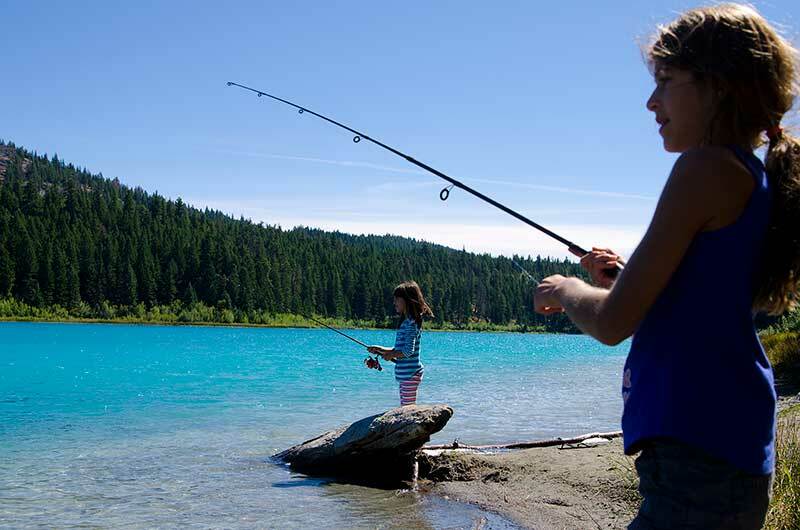 Anglers know the best fishing spots are well-guarded secrets. The truth is, there’s no secret that the lakes and rivers surrounding Princeton are some of the best fishing in the Similkameen Valley. Grab your gear and head to Allison, Kentucky and Alleyne Lakes deep in the heart of cattle country. 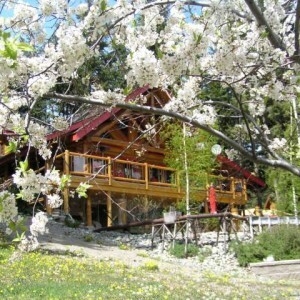 You’ll find yourself surrounded by rolling grasslands and pristine, turquoise lakes teeming with rainbow trout. It’s best to go early, when the glass surface of the lake reflects the sun rising above the mountains and the fish are ready to bite. 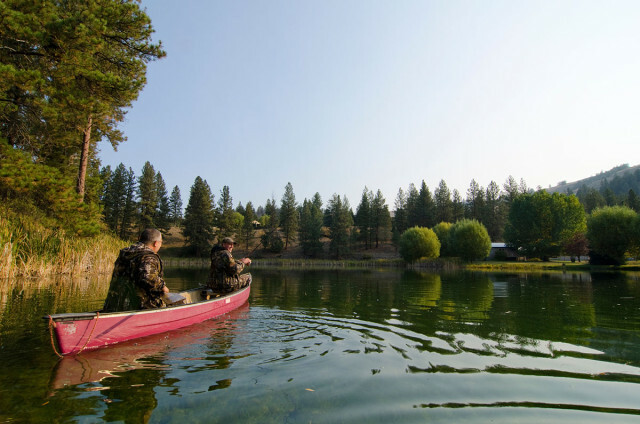 Try your hand at the art of fly-fishing from shore, or paddle out (no motorized watercraft permitted) to the depths of the lake. 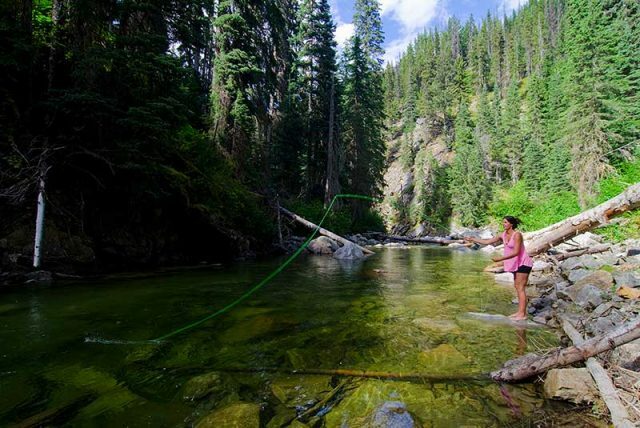 A day spent angling these waters will leave you hungry for more. Family friendly and easy to get to, there’s also a “children’s only” fishery in the ponds between Kentucky and Alleyne Lakes. You’ll be catching memories and triumphant smiles with every bite on your little one’s line. 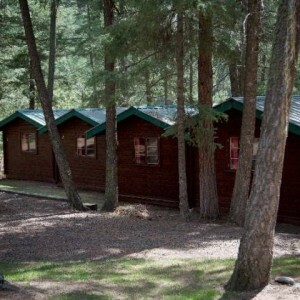 For something more secluded and equally rewarding, drop your line in Chain, Osprey or Link Lakes. 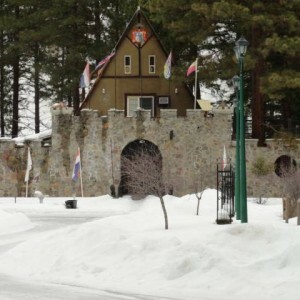 It’s easy to get there, just take a drive along the Princeton Summerland Road. Set against a rugged mountain backdrop these tranquil spots will tempt you to drop in a line at your first sight of water. Take your time though, the fish will wait. Make sure you stand in the shadows, out of the sun, because you’ll be less likely to startle your prey. Feel your heart start to race at the first strike of rainbow trout. They weigh up to eight pounds and will set your reel singing. Give it some play. The only competition you have for this catch are the eagles and osprey fishing right alongside you. 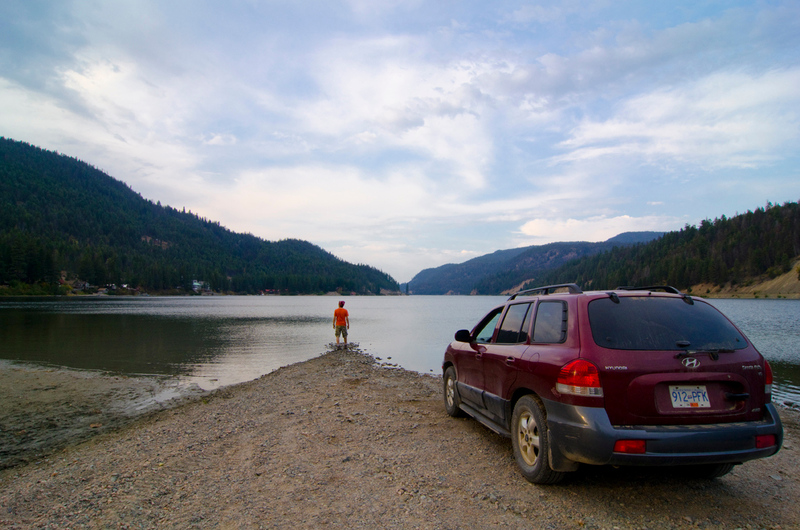 Yellow Lake on Hwy 3A has some of the best shore fishing anywhere in the valley. Troll or belly boat fish for rainbow trout and brook trout. 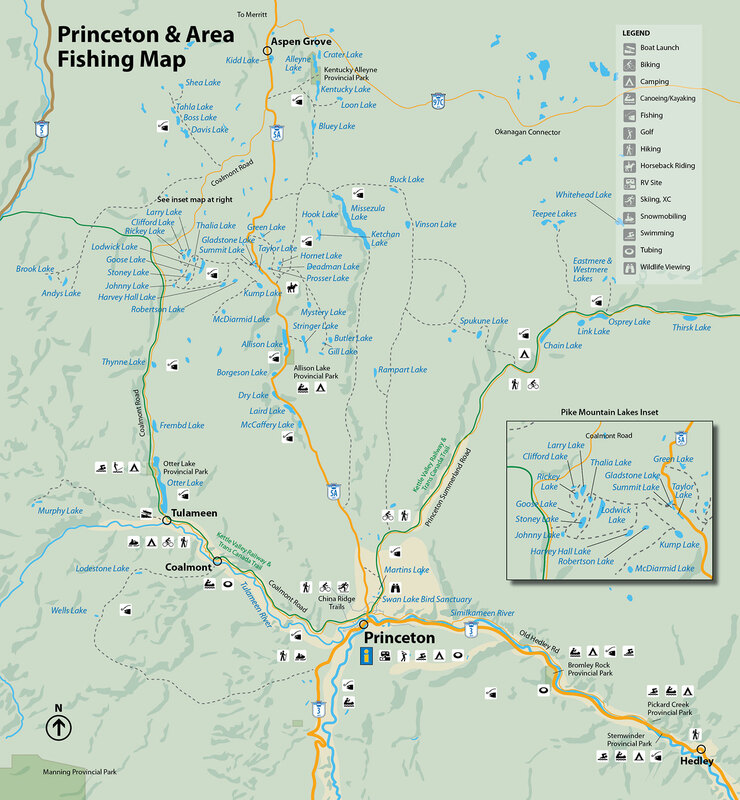 A favourite spot for locals, ice fishing starts mid-December and runs through to March. This is a high mountain lake at 650 m (2460 ft.) so be prepared with the right gear and you’ll have a whopper of a story to take home. The fish aren’t just biting in our lakes, though. Cast about the Ashnola, Similkameen and Tulameen Rivers. Don’t be surprised when you find yourself in the thick of the action with back-to-back strikes. You never know what could be on your line: mountain whitefish, rainbow trout and possibly the elusive west slope cutthroat. With fast running currents and deep watery pools, probably the only thing to distract you from landing the big one is the scenery from the river’s shore. You need a license to fish our waters! 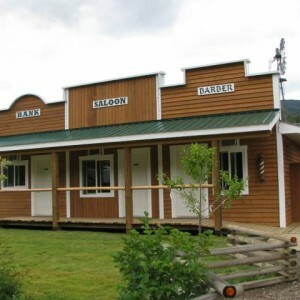 Get one on-line or at select retail locations in Princeton and Keremeos. The Pike Mountain lakes off Highway 5A offer trophy fishing and a backroad adventure, rolled into one — a MUST DO for any serious fly angler visiting the Princeton area. 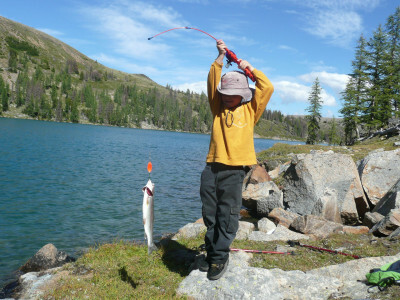 Tulameen, Otter Lake is one great family fishery, ideal for trolling for decent size Pennask, Rainbow and Kokanee. Martin Lake, just four kilometres outside of Princeton on the Summerland Road, offers excellent ice fishing, perfect for young families looking to try the sport of ice fishing as they are almost guaranteed to catch fish. 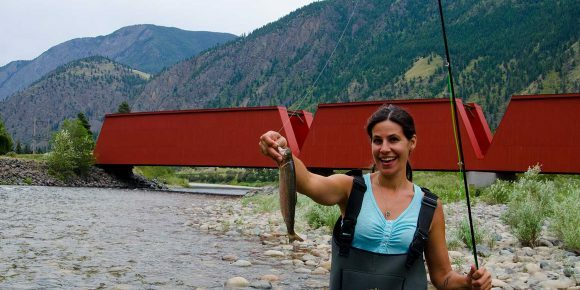 The Similkameen River is becoming very well known as one of the best destinations in BC for anglers wanting to target Rocky Mountain White Fish. 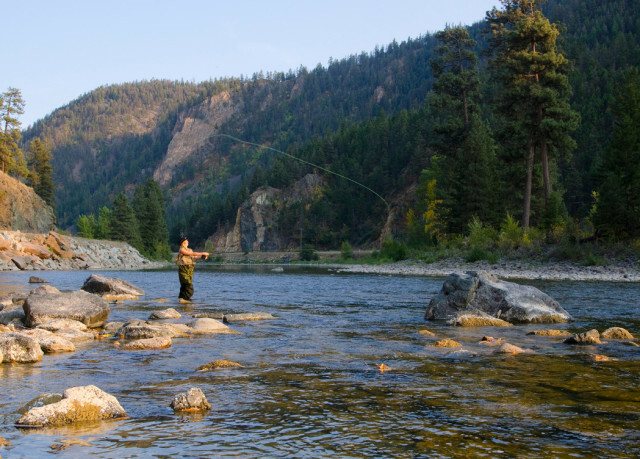 Bromley Rock is one of the best spots on the entire river for these fish.